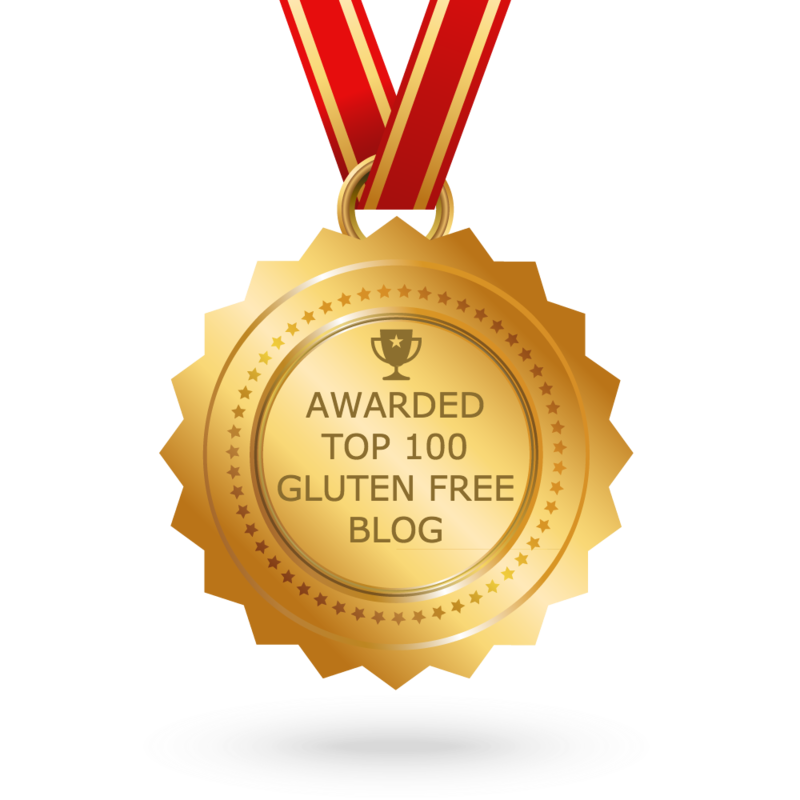 If you find yourself in Paris or Brittany, then you will find yourself in gluten free food heaven – Galettes Bretonne, Galettes Sarrasin, Galettes Ble de Noir. They are relatively cheap, very filling and everywhere. When we travelled with our two teenagers to Paris in December last year, we had no qualms about them finding their own lunch or dinner. 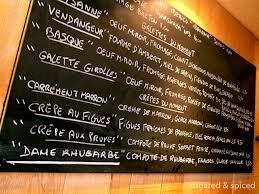 We always knew that they could fall back to a Galette at a cafe for a gluten free meal. 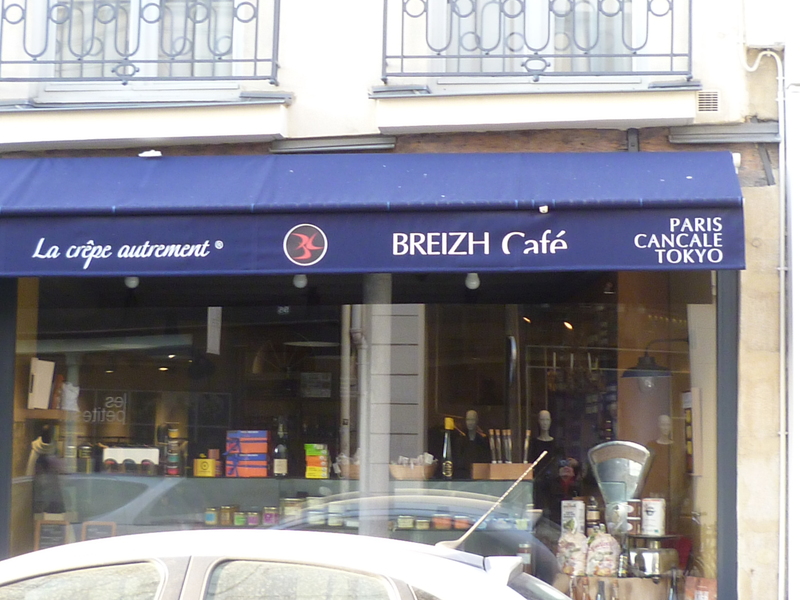 Our favourite galette cafe was Breizh Cafe ( http://breizhcafe.com/fr-breizh-cafe-paris.html ). In their Deli next door you can get a pack of galettes to take home. As we were staying in an apartment, these galettes were a great breakfast or a back up for dinner in the apartment. I have included two recipes below for you to experiment with as well as a link to two David Lebovitz sites about galettes in Paris. I make them for breakfast for my son on my Breville Crepe Creations and any extras can be frozen with a sheet of glad bake in between. NB Traditional Galettes are made with buckwheat only. 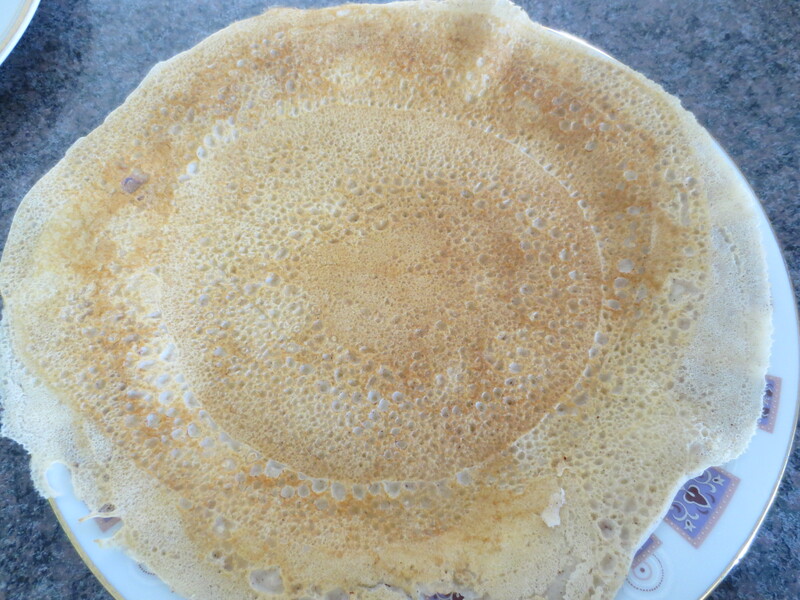 Pour 1/3 to ½ cup of batter onto prepared crepe maker and spread with batter spreader. Turn galette over and cook on other side. 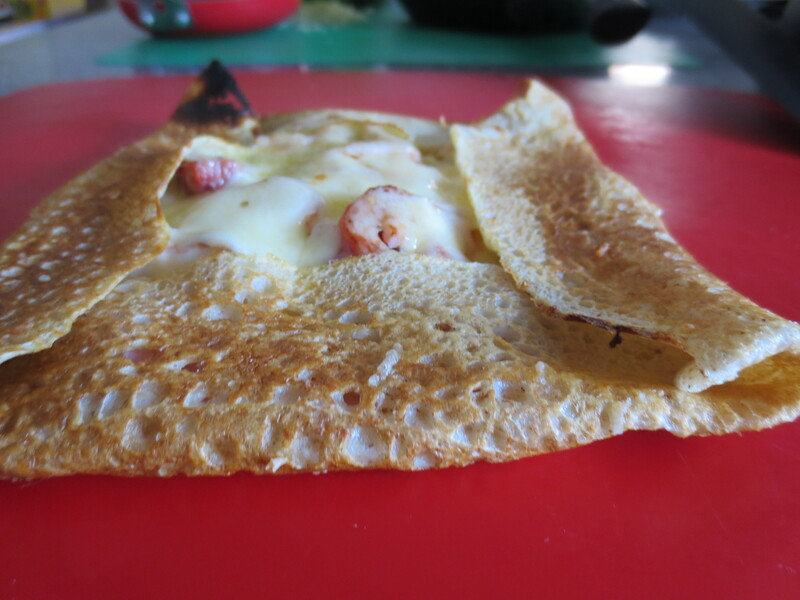 Traditionally galettes are savoury crepes filled with any combination of fried egg, cheese, ham, mushrooms, edges folded in to make a square exposing the ingredients, placed under a grill to melt the cheese. Can be also used as wraps. Place eggs and flours into a metal bowl. Whisk eggs and slowly add milk until mixture is a runny paste. Leave to stand for 15 minutes and recheck consistency. Buckwheat absorbs large amounts of liquid. Cook in a crepe pan and use with sweet or savoury fillings. Fold and place under grill to melt the cheese. Wow. 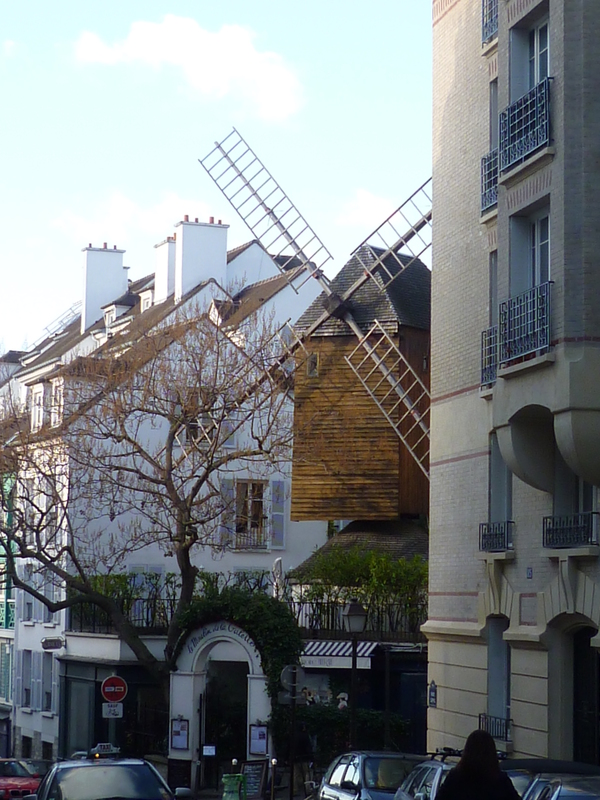 I have been to Paris before, but I did not expect gluten-free abroad. That is definitely something to keep in mind when I head back there (soon) !